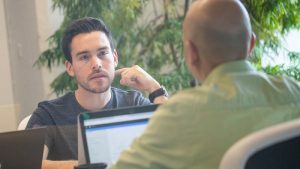 The latest release of the Dynatrace Timeseries REST API has been enhanced to include all long-term persisted real user monitoring metrics that Dynatrace collects for your web applications. 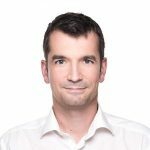 In previous releases, the Dynatrace API only exposed basic metrics, such as performance and error rates. The latest enhancement exposes all real user monitoring metrics, including conversions, bounce rate, Apdex, and many others. To date, the timeseries endpoint offered only some long-term persisted metrics for integration and IT automation purposes. 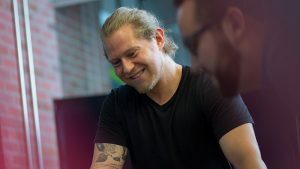 The number of metrics we exposed for Dynatrace real user monitoring was previously limited to response time and error rate per application or key user action. 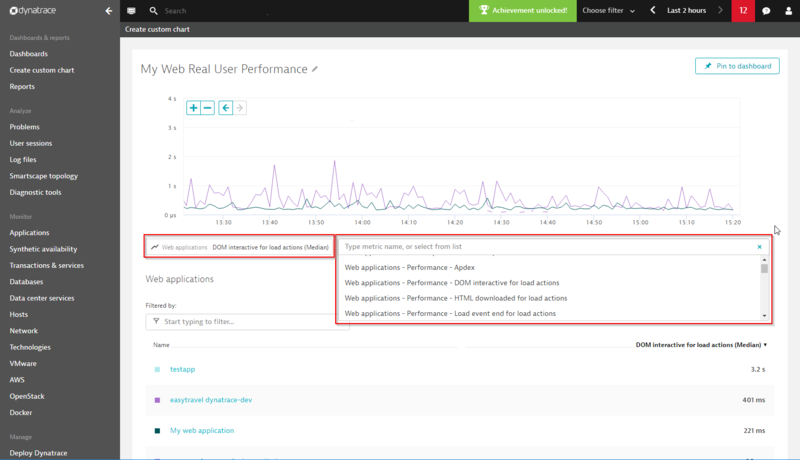 The most recent release of the Dynatrace API includes many more real user monitoring metrics, including all key performance metrics (for example, Apdex, speed index, DOM interactive, and visually complete). These metrics are now available for each web application and key user action. 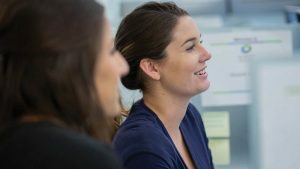 They’re stored in the Dynatrace long-term metric store with retention of up to 5 years. Metrics have a maximum 1-minute resolution for up to a 14 day period. 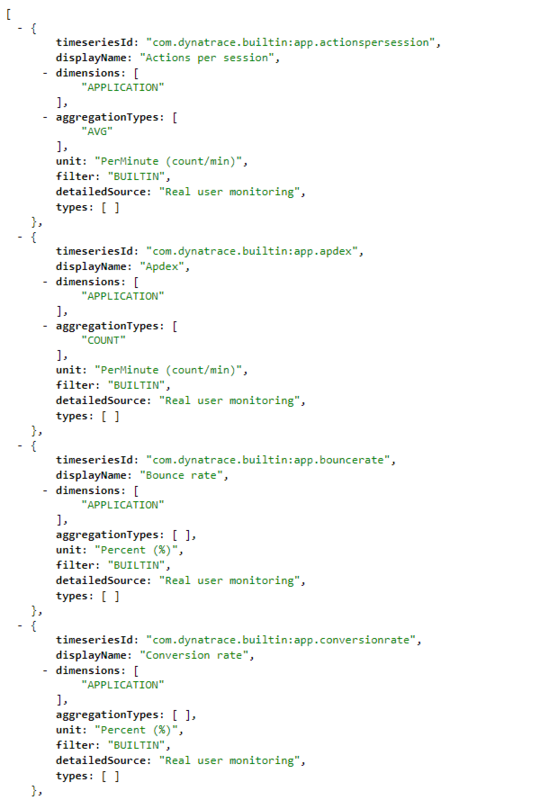 32 additional real user monitoring metrics have been added to the Dynatrace time series REST API. All these metrics can now be accessible via our custom charting feature (select Create custom chart from the navigation menu to get started). Another improvement to the Dynatrace time series API is that each metric now shows its source in terms of Dynatrace features or plugins. All metrics that are delivered by the Dynatrace real user monitoring feature now include a detailedSource field that’s pre-populated with the value Real user monitoring. For Web checks, the detailedSource field is pre-populated with the value Synthetic.